I’m pleased to welcome a new sponsor to the site, DuckaDilly! This lovely shop is run by Lesley out of Ann Arbor, Michigan. At DuckaDilly, they say they are head over heels in love with Liberty of London, and it shows! They offer a wonderful selection of Liberty – tana lawns, jersey, and Liberty Lifestyle quilting cottons. I opted for some blues in my last order with DuckaDilly – snagging some of that great Queue for the Zoo (for my stash!) and some June’s Meadow jersey (a little something for Hazel, I think). I asked Lesley a little about how the shop came to be, and she said that she started it just over two years ago out of a love for the luxurious and whimsical prints of Liberty. She said that she had been surrounded by Liberty fabrics throughout her life – her mom sewed clothing from these gorgeous prints and even took Lesley to the Liberty store in London to see the amazing display of fabrics. Loving everything English, Lesley named her studio DuckaDilly, which was the sweet nickname Winston Churchill called his daughter, Marigold. The marigold is also their logo. A great feature of this shop is that fabrics are sold by the 1/4 yard, which I love, since Liberty fabrics are more expensive, and I appreciate being able to add just a little bit to my stash. But even better than that, Lesley offers you your choice of a 1/4 yard cut or a fat quarter – just leave her a comment in the notes section of your order! Shipping is free over $75 and just $4.95 for smaller orders. They are also starting their “I ♥ Liberty” subscription this month. It’s a monthly club where they will be curating lovely bundles of Liberty Tana Lawn. They will be offering both Fat Quarter and Fat Eighth versions. Today DuckaDilly is offering up a wonderful selection of lovely Liberty prints for this giveaway – there are 12 fat 16ths included in this great bundle – a great start to building your own Liberty stash, or a nice selection of prints to add to an existing stash! This giveaway is open to all, and will run through the weekend. Please leave a comment here (one per person, please!) and I’ll select a winner on Sunday evening. Comments are now closed. I’ll select and announce a winner shortly! In case you don’t win, or in case you can’t wait, Lesley is also offering 15% off storewide (excluding subscriptions and gift certificates) through April 13th with coupon code FITF. A big thanks and a big welcome to DuckaDilly! This entry was posted in Fabric, Giveaway! and tagged duckadilly, Fabric, Giveaway!, liberty of london. Bookmark the permalink. What a fabulous giveaway! I’m so glad there’s another fabric merchant in Michigan as I like to support companies in my home state. Thanks for a chance! OO would love to win some liberty.. am going to go check out her shop now!Thanks for the chance to win! So pretty. I love that red with white flowers. What a great giveaway! I’m from MI originally and will definitely be checking this place out next time I’m in the area. Thanks for sharing! What a nice give away – Those Liberty Prints are gorgeous! Wow thanks for the chance. Wow! Liberty is so pretty and I will definitely check out the new Michigan shop. I’m a regular customer at Pink Castle and welcome another place to feed my fabric addiction! Love the name! Thanks for a great giveaway, those fabrics are gorgeous! Gorgeous fabrics, thanks for the giveaway. Off to look at the website to see what I ‘need’. Lovely fabrics would love to win, would be my first liberty Print stash build. I have zero Liberty fabrics in my stash but would love some! I look, I drool, but never purchase. I might have to check out Lesley’s cool site–thanks for the introduction. Can’t wait to see what fabulousness you make with yours! Gorgeous! Thanks for the giveaway! How pretty! Thanks for the chance! I adore Liberty fabrics and would love some of these beautiful fabrics for my stash!! I am new to Duckadilly but would like to get get to know them! being able to buy a fat quarter of a chosen fabric is a huge bonus! I’ll definitely be checking this shop out. thanks for the giveaway! how lovely! thanks for the chance! I just love liberty fabric. There is nothing like it. I have long wanted to add some Liberty of London fabrics to my stash…this is the perfect opportunity! Thank you for the chance. Thank you for the wonderful giveaway! I love the fabrics. I have never purchased any Libert of London fabric but it always look so gorgeous…maybe I will win it instead. What a wonderful giveaway! Thank you! Beautiful fabric! It inspires! Thanks for sharing! Liberty fabrics are so gorgeous. I have yet to start my own stash, but with the selection, cuts, and 15% offered at DuckaDilly, I think I’ll have to start a stash now! Thank you for the giveaway! Such a lovely bundle!!! Thanks for the chance to win! Lovely, i haven’t bought any liberty fabric yet, but I’d love to get my hands on some! Thanks for the awesome giveaway! I love this bundle, but I also love the idea of being able to buy smaller yardages so I am headed to DuckaDilly right now to check it out! Thank you for telling me about this shop! I’m not normally one to enter giveaways, but this one is too good to pass up! Love Liberty! These are some lovely fabrics. I don’t have any liberty of London in my stash, so it would be a nice addition. Thank you fro the giveaway! I was always dreaming about starting my own Liberty fabrics collection. So this giveaway is perfect for me – thank you! Would love to sew with those fabrics! Wow! Such a bright and beautiful way to welcome spring! Those prints are just lovely, as is everything Liberty has ever made! Who isn’t in love with Liberty prints? Thanks for the giveaway! I’ve never used Liberty fabrics, but they are beautiful. Those Liberty prints are gorgeous! Keeping my fingers crossed for sure! What a really beautiful giveaway. I love Liberty fabrics, so beautiful to sew with. What a great excuse to get some liberty! Thanks to both of you for the chance to win! Thank you for the chance to win. I have been wanting some liberty of London. This would be awesome! So lovely! Thanks for the giveaway! Great giveaway….love the fabrics. Thanks! Beautiful fabrics! Would love a chance to sew with these! Oh liberty fabrics are so beautiful! Ohmigoodness, those fabrics are so delicious! Oh this is great! I have never worked with Liberty fabrics, but I’ve always wanted to. My budget is tiny though, so they’ve been on the “one day” list. Love Liberty fabrics. What a great giveaway and so close to my home in neighboring Wisconsin. Great giveaway. I love shops that offer 1/4-yard cuts; I’ll be checking them out. That fabric selection is just so pretty. Thanks for giving all of us the opportunity to win it!! Thanks for the chance to win a great prize. It’s nice to have another US source for Liberty fabrics! Thanks for offering this lovely giveaway! I’m a big fan of Liberty fabrics. I’ve heard much talk of Liberty fabric. I’d love to see some first hand. Thanks for the chance to you and your sponsor. I’ve never sewn with liberty fabrics, but I would love to give it a try! Thanks for the opportunity! Love the liberty fabrics. They remind me of my youth. Haha. Oh my goodness! Beautiful stuff!!! Oooooh! I’ve admired this beautiful fabric for so long. Thanks for the chance to win some. Well Liberty is something I have always striven for…..
Beautiful colors and a generous giveaway. That selection really shows off the wide variety of Liberty prints! I’ve gotta go shopping . . .
Beautiful fabric!! Fingers crossed!! Thanks for the chance!! What a lovely shop! I recently made a dress out of Liberty needlecord, and it was just beautiful to sew with. These are beautiful!!!! Thank y’all so much for the chance to win!!!! Oooo! I love Liberty fabrics! Thanks for the chance to win! I don’t know how long I’d be able to keep these in my stash! Such gorgeous fabric! What a great name for a shop. What a fun and generous giveaway! I love those blues! thank you! I’ve read about the Liberty fabrics but have never owned any. My son will be a freshman at a school in Michigan this fall. I’ll have to see how close DuckADilly is to his college to see if I can visit the shop when we take him to school in August! I adore Liberty of London! Wonderful wonderful and thank-you for sharing! I absolutely love these fabrics! Thank you so much for the giveaway and the info on the shop. I will certainly bookmark the shop and head over there often! Gorgeous fabrics! Thanks for the chance! This is a wonderful giveaway… I’m dreaming of liberty! I can’t wait to see the lovely laughing Hazel surrounded by some of these fresh fun fabrics! I think my heart skipped a beat when I read this! What an awesome opportunity! Now I’m off to go check out the site. Thank you! Perfect timing – we’re planning a long weekend trip to Michigan next month to visit a friend, and she’s only 40 minutes from Ann Arbor – I can visit the shop and check out the Liberty in person 😀 Thank you for a chance to win something so pretty! Liberty fabrics are so pretty and very special. Thanks for such a nice giveaway. Oh, Liberty fabrics are scrumptious! Beautiful fabrics. Thank you so much for the wonderful giveaway. my MIL loved Liberty fabrics and these beauties made me think of her. They are gorgeous and would make a lovely quilt. Your winner will be indeed very lucky. I would love to try some of that Liberty fabric. That fabric is so beautiful and vibrant! Thanks! Congrats on the new sponsor and thanks for the giveaway! Ohh what a great chance ! Especially now since I’m in the process of copying your tana lawn diamonds quilt I’d love to win. Thank you ! I’ve been wanting some Liberty to go along with the two FQs my brother bought for me when he lived in London. Love every single Liberty print in her shop. Such a fun and generous giveaway! Thank you for the chance to win some amazing fabrics. Those are gorgeous! Thanks for the chance to win!! what a great name for a shop! and I love-love-love these liberty fabric! Just what I need ..Anew bad habit! I haven’t used Liberty fabrics before but I would love to start! Liberty is so beautiful. Thanks for the chance to win some! What a fantastic offering of Liberty fabrics. And DuckaDilly, you have a great selection!!! I would love some liberty fabric for my newly started stash! What a beautiful collection of fabric! Wow. Thank you for sharing this awesome shop! Thanks for the giveaway! I have a small collection of Liberty Tana Lawns and quilting cottons and would love to add to it! oh my gosh! A liberty giveaway! Probably the best way I can think of to kick off the weekend. Thanks so much! These are beautiful! I would love to try the Liberty fabrics! Thank you DuckADilly and FITF for a beautiful selection of Liberty…..such a pretty slice of life and a joy to play with. Love the fabric colors! And how cute is the name…DuckaDillt! Lovely fabrics! The green with white swirl right away caught my eye. Love Liberty! Would love to get my hands on a whole bundle! what a lovely giveaway – I’ve never used Liberty fabric but it looks so pretty I’m sure I’ll enjoy it! lovely fabrics! thanks for the chance to win. Beautiful fabrics! Liberty of London is always on my wish list! I have some Libertys. I’d love to add these to my collection! Thank you, Ashley and Duckadilly. Oooooh. I’d love to win!!! I would love to win some Liberty fabric! What a fabulous giveaway! I LOVE Liberty of London. I’d buy them all if I could afford them. Thanks for the chance to win. I have never owned a thread of Liberty fabrics and this would be fantastic!! Thank you for the chance!! Thanks to Duckadilly for offering such a sweet, sweet giveaway! Sigh! Oh my more yummy fabric in Mi! Off to check out the store site! I would love to start a little stash of Liberty, and this would be the perfect opportunity! Thanks! These are lovely prints. I can little girl sun bonnets out of them with cream lining! The fabrics are gorgeous! Thanks so much for the chance to win. Gorgeous! I’ve always wanted Liberty fabrics, but never quite got up the money. GORGEOUS fabrics! Thank you for the giveaway. This would be an exciting gift! I could add it to my “VERY” limited collection. Love the liberty! I just started a Liberty Trip Around the World quilt! Ohhhh, I hear about Liberty all the time, but have never had any. What a neat way to experience it!! Thanks for the giveaway! WOW! My daughter has just treated me to lunch at Liberty’s of London . We had a browse around the fabric dept.!!! what a prize to win today! if only. Thanks for a great site. This is my chance to take the Liberty plunge! Thank you! Oh what yummy fabrics!!! Would love to win!!! Very pretty, thanks for the chance to win!! I have one yard of Liberty and it has started an absolute love for all things Liberty. Thanks for having the giveaway! I was awesome but, I was a poor student and could not afford much! The liberty love fabrics are so delicious! Wonderful giveaway! A little goes a long way,I am working on a liberty irish chain quilt. Would love to get personally acquainted with the Liberty fabrics… they look delightful! Great giveaway! Oooh that LIberty is so scrumptious and yummy – what a great way to celebrate Spring! Lovely fabrics! Thanks for a chance to win! Yummy! Thanks for the great giveaway! Oh yes please. I love everything about Duckadilly – from how she picked the name to the gorgeous offerings within. Thanks for the chance! I’ve never seen Liberty fabrics in person, but they always look so gorgeous in photos! The Liberty Store in London is like a candy shop for quilters. And so pettable!! Nice to be introduced to a store in the US that caters to that addiction. And thanks for the opportunity to win some. HELLO,oh these are so pretty! Sweet giveaway. Such lovely fabrics. Dream of going to the London store. Lovely fabrics, I bet they are even better in person! Pretty fabrics, love the different prints. I love where the name DuckaDilly came from. I love liberty fabric, too! this is an inspiring selection! Have never used Liberty fabrics, but have admired them for awhile, maybe will take the plunge and get some. The prints are lovely, I think one would make a nice infinity scarf. What a beautiful stack of fabric! Thanks! Oh so pretty! I love those blues!!! Liberty of London? Why yes! I would like a sampling of those fabrics! I love Liberty! Thanks for the opportunity! Oohhh I do love liberty! I might need to go over there and check it out! I was so excited to read your latest post. Thank you for introducing me to DuckaDilly, I will certainly visit the site. I just just had the pleasure of visiting the London Liberty store, I could have spent days…but my daughter drug me away before I spent all her college money! So happy to have a great option for adding to my stash! Cheers! so so pretty! love your blog…! What lovely fabrics! Thanks for the chance! Oh I love the Liberty fabrics but I’ve always thought they were too rich for my budget, so I love the option to get them as FQs! Liberty is the absolute best! What a great giveaway!! I like these fabrics a lot. They’re very art quilt friendly with great color and texture. I actually have a small piece of the yellow flowered one. The fabrics are delightful. I love the idea that you can buy just a 1/4 yard. Sometimes a little bit can make a big difference in a quilt. Thanks for offering the giveaway. what sweet prints! love them. I am going to check this site out. Thanks for the opportunity to with this very special fabric! I definitely need some Liberty in my stash! Now that I’ve started a small collection of Liberty I am even more in love with their fabrics! Thank you for the giveaway! Oh my, oh my! I have never seen a Liberty of London giveaway before! Very generous and very exciting! Thank you. ohhhh wow thanks for the chance! Libertys are so gorgeous. One day I will have extra spending money to buy yards and yards of it just because, but for now, I’ll enjoy from a distance. The fabric is beautiful. I like hearing where she got her business name from. Such a fantastic giveaway as I still have no Liberty in my stash! DuckaDilly sounds awesome. Going to check them out now! Thanks! I’ve never sewn with Liberty fabrics but would love to give them a try! Thanks for the giveaway! What a great giveaway! I don’t have any Liberty in my stash and have been hesitant because of the price – this would be a great start! Great store and great giveaway. Thanks. Beautiful fabrics. Thanks for the giveaway. Mmm, how gorgeous. I’d love to just pet them! Is is sad I have never had any Liberty fabric? Thanks for the giveaway! GORGEOUS FABRICS! THANKS FOR SUCH A GREAT GIVEAWAY. Gorgeous giveaway! Thnks for the chance! So pretty. And more fabric in Ann Arbor. How do I keep missing these things…. Swoon! I love Liberty! Thanks for hosting this fantastic giveaway from Duckadilly and thanks for your great blog. I love your tutorials. And the recent pictures of your children are so cute! Love the Liberty! Thanks to you and Dickadilly for the opportunity. I love how these fabrics feel, so very smooth! I don’t even know if we can get our hands on Liberty here. They are so rich looking ! Would love to add this to my little collection! Thank you for writing about them! I am going to check them out! What a lovely collection of fabrics. Thanks for the opportunity to win a set. I can definitely see a scrap quilt in my future!! Love the fabric, thanks for sharing it with us! What a great resource and I love the shop name! I don’t own any liberty – I’m too afraid to make the plunge! These are absolutely lovely. Beautiful fabrics. They would look lovely in my stash!!! Love Liberty fabrics!! Thanks for a chance! Wonderful fabrics! Thanks! Heading over to check out Duckadilly’s site now! Count me in. Great fabrics. Love the Liberty! I got into Liberty tana lawn about a year ago and made Pink Chalk infinity scarfs for everyone as gifts last year. Oh Liberty! Be still my beating heart! What absolutely gorgeous fabrics! I love the blues! Please pick me! 😉 I loooooove Liberty! These Liberty fabrics are so beautiful. I would love to make a quilt with these wonderful colors. I love Liberty fabrics! Thanks for the chance to win! I don’t own any Liberty, but love looking at what you make with them. Thanks for the chance to win! Thank you! This is a terrific giveaway. Liberty of London fabrics are really beautiful. In case I don’t win…I have to buy! I love the floral patterns in this collection! This would be perfect for the postage stamp quilt that I’m working on! Love that green with the swirls. Ooh. Pick me pick me. 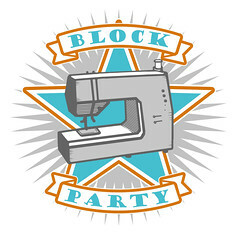 I want to make myself a birthday quilt!!!!! Such a generous giveaway! Liberty fabrics are expensive so this giveaway is a dream! I see a lot of tpte bags for Mother’s day presents! My daughter gifted me some Liberty for Christmas and I’d love to add to my collection. What a wonderful giveaway. Thank you. I’m bookmarking this shop! I love that they sell both fat and WOF 1/4 yards! Sometimes you just don’t need an entire 1/2 yard! Thanks for telling us about Duckadilly and for the giveaway! What a great shop! Thanks for introducing us! And thanks so much for a shot at such a fabulous giveaway! I have never even seen a scrap of Liberty fabric in person – I would love to win this beautiful bundle! So many lovely Libertys to choose from! Thanks for the chance to win. I don’t have any Liberty, so thanks for a chance to win!!! Yup, Liberty is to die for. What lovely fabrics, thanks for a great giveaway! These fabrics knock me out. Thanks so much for the giveaway! Beautiful fabrics! Thanks for the chance! Such a lovely giveaway! Thanks for a chance to win! I would love some of the Liberty of London fabric. Nobody around here carries it! Pretty, pretty! Thanks for the chance to win. Love liberty! Thanks for the giveaway! Thanks for the link, I love Liberty as well! I love love Liberty! What a treat it would be to win these luscious fabrics! Love your blog too! This would be my very first Liberty of London, just in time for my 50th birthday. I know what I’ll be wishing for when I blow out the candles! Those fabrics would make a great summer quilt! Oh so SCRUMPTIOUS!! What a lovely offer. I’m headed over to see DuckaDilly – sounds like a fabulous site! How nice to be able to buy the Liberty in fat quarters, I appreciate that too! Gorgeous fabrics and a generous giveaway. Thank you Duckadilly and Ashley for hosting it! I would love to win this bundle!!! I would love to win this, Liberty is gorgeous! I love Liberty! Hopefully with this win of the bundle that would start me off to stash more. Got to save more $$ now. Have always had a soft spot for Liberty. What a sweet name and a beautiful store! Wow gorgeous fabrics. Liberty are in a class of their own – yum!! Such pretty fabrics. I have long lusted over Liberty fabrics. I love Liberty! Thanks FITF and DuckaDilly for the giveaway. I love learning about new shops thanks. Beautiful fabric. Thanks for a great giveaway. Very nice collection of fabrics. Thanks for the chance. Beautiful fabric – would love to win! I dream of Liberty! So beautiful to work with. I’m a huge Liberty fan – the only problem I have is trying to keep up with the release of so many gorgeous fabric twice a year!! Love Liberty! Someday I will visit the London shop too!! Gosh who’d doesn’t just love liberty fabric! What a nice giveaway. Thanks so much. Beautiful prints and colours. Thanks for the giveaway. Beautiful fabrics. Thanks for the chance to win. I will check out Duckadilly! Thanks for this great giveaway! If you can believe it I don’t have any Liberty in my stash! I want some really bad though! DuckaDilly sounds like a great fabric shop, I love being able to purchase 1/4 yards or Fat Quarters!!! I’m going to check out the shop now!! Thanks again!!! Such beautiful and fun fabrics! Love it! 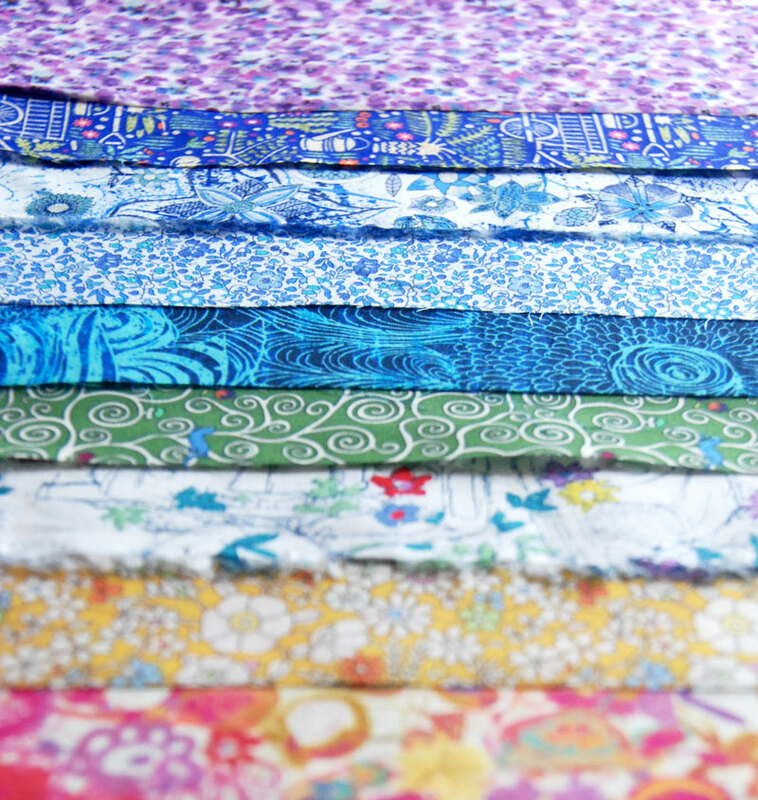 I’ve never owned any Liberty fabric– maybe now is the time to start! Beautiful fabrics, just what I need for Spring. I love Liberty of London prints and have since my days of working at J. Crew. What a yummy treat! As a beginning quilter, I have quickly become addicted to lovely fabrics and these are the best. Very Pretty fabrics — Great to know of a good source. Thanks for the Giveaway. Your love of Liberty has greatly influenced me. They are beautiful prints. Liberty is an absolute must when you visit London. Just feeling the fabrics is a trip by itself. So soft and silky. Thankyou for the chance. Lovely fabrics. I’d like to try pairing them with solids or even batiks! Oh, wouldn’t I love to win ~ Liberty fabric is my favorite and I’ve got a tiny stash of it! Thanks so much for the giveaway ~ so generous! Great giveaway! Love that they offer 1/4 yd cuts! Thanks for the info and chance to win some lovely Liberty! i love adding just a little to my quilts – my current is a sunflower piece. perfect for a kansas farm quilt.. love those red poppies! Those Liberty Prints are fabulous!! Liberties are beautiful, and look great in your quilts. Thanks for the continued inspiration. I really like the last quilt that you posted with hazel. I love Liberty lawn – soooo soft to touch! I have been building a stash, and whenever I buy some I cut off a bit for a friend for her stash (she uses lots of relatively small pieces of Liberty lawn with Kona solids). Would love to win this and I’m going straight to the DuckaDilly website! Thank you! Thank you for sharing this great little shop! I have always admired Liberty Lawn. I visited the Liberty Shop in London 30 years ago this year and I remember it like yesterday! I would love to have a small Liberty stash to play with, thanks for the opportunity to make that happen! I love Liberty prints! Thanks for the opportunity to win. Beautiful fabrics, sure would help build my stash. Thanks for the giveaway. Lovely! Liberty fabrics are so timeless. Great fabric, would love to win! Drop dead gorgeous fabrics – wish it was carried in a shop in my local area. I like to see fabric before I buy it – just a personal quirk. May have to take a road trip to Ann Arbor or move outside my comfort zone and order online. Thanks for bringing Duckabilly to our attention. That is an awesome giveaway. I would love me some Liberty! Oh! I would just love to get my hands on some Liberty! Thanks for the opportunity! I love Liberty fabrics and aspire to make a very special quilt just using ths see fabrics. Thank you for the chance to add to my collection. Nice! This shop is only 45 minutes away – definitely on my must-visit list. Love, love, love Liberty of London! Makes me want to go to the UK ! May have to check out the fabric subscription! These are just beautiful – thanks for the chance. Great fabrics. Would love to win. Thanks for the chance! These are gorgeous fabrics. I have always wanted to own some liberty fabric! I have been meaning to buy something from her store. I like it when the Liberty fabric is shipped from the U.S. You get it so much faster. Her website is very easy to navigate. Another thing I like. I will definitely be buying from her. Pretty fabrics! Would love to win! Thanks for this giveaway! Gorgeous fabrics. Visiting the store in London is definitely on my bucket list. Gorgeous fabrics. Love those colors together. What a lovely selection of fabric. I would love to win. I have never see Liberty of London fabric up close. Give me liberty or give me more fabric :),great giveaway – thank you for making it so much fun to follow your site. Ooh, so beautiful! Thank you for introducing me to DuckaDilly and the chance to win this beautiful fabric. Love the name, LOVE Liberty of London fabrics! Let’s add this bundle to my stash, shall we? Thanks for the amazing giveaway – I don’t have any Liberty fabric. I will check out DuckaDilly! Also, your quilts are inspiring! Such lovely fabric. Thanks for the opportunity to win. I’d love to own some Liberty Lawn! These are beautiful. Would love to win them to add to my “someday a grand baby” quilt stash!!!! Such beautiful Liberty prints… thanks for the chance to own them! These are really gorgeous! Thanks for giving us all a chance to win! What a great site and generous giveaway! I make clothing protectors (bibs) for our local extended care facility (old folks home). This fabric is bright and cheerful — it would be perfect for brightening up mealtime. Thanks for the chance to win the fabric. Love your blog! A yummy selection to start my Liberty Stash with! I adore Liberty Prints and would love to add some to my stash. I remember spending hours in the Liberty store on my honeymoon 23 years ago. whew that’s a lot of entries! I’ve never owned any liberty of london before! i would love to win. Ditto: Yum! A lovely collection of prints. Thanks for yet another chance to explore such a lovely collection. All things are possible with this assortment. oooh, what a great way to start a Liberty stash!!! Great giveaway, I love Liberty! I don’t have any Liberty Lawn , I would love to feel it and see what all of the fuss is about. Love, love, love Liberty fabric! So glad to hear about a new place here in the US to get my fix. Fingers crossed for the fab giveaway! Love the Liberty fabrics. Thanks for the chance to win. Now I’m off to visit the shop. It’s great to learn of a new fabric source, especially one with a great niche. So springy! Thanks a bunch! I gave my mom some Liberty fabric for Christmas and I’ve been a little jealous ever since!Thanks for the giveaway. Love the feel of Liberty fabrics and the chance to win some! Thank you. Don’t have any of these in my stash but I sure would like to! So pretty. Irresistible fabrics–thanks for the giveaway! Gorgeous fabric. I am collecting liberty fabrics for ages and am going to make a quilt for myself when I get enough. It’s so expensive in Australia so will definitely visit this shop 🙂 Thanks for the giveaway ! Such beautiful fabrics. Thanks for the giveaway! Always excited to add to the stash! These are beautiful! 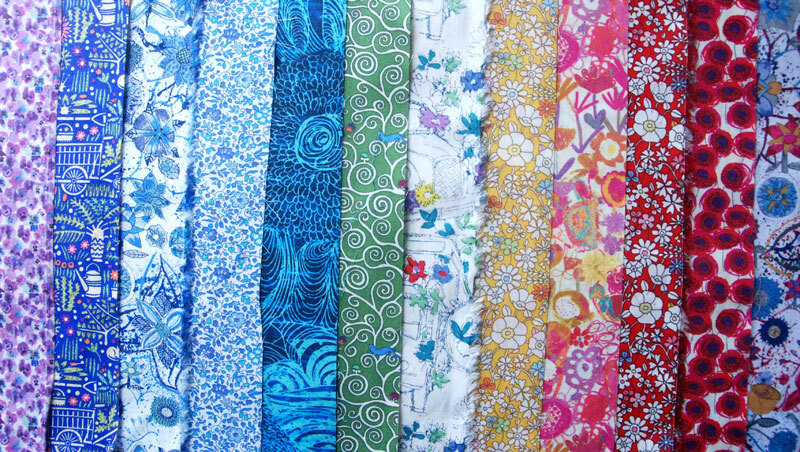 Oooh, I have a small stash of Liberty fabrics that I need to add to for a quilt. So very much thanks! Lovely fabrics would love to win. Thanks for the chance! What a treat!! What a great logo the shop has and I love the story behind it. I’d love to win. Thank you. How totally awesome! Thanks for sharing and for the chance to win. I love Liberty Cottons. I love the look of them and although I do not have any of these fabrics, I absolutely love the feel of these fabrics. I am dreaming…. What a lovely choice for a giveaway. I LOVE Liberty fabrics. would so enjoy sewing with them. beautiful fabrics. thank you for offering them in a giveaway. Oh My, these are lovely. Would be a nice addition to the stash! 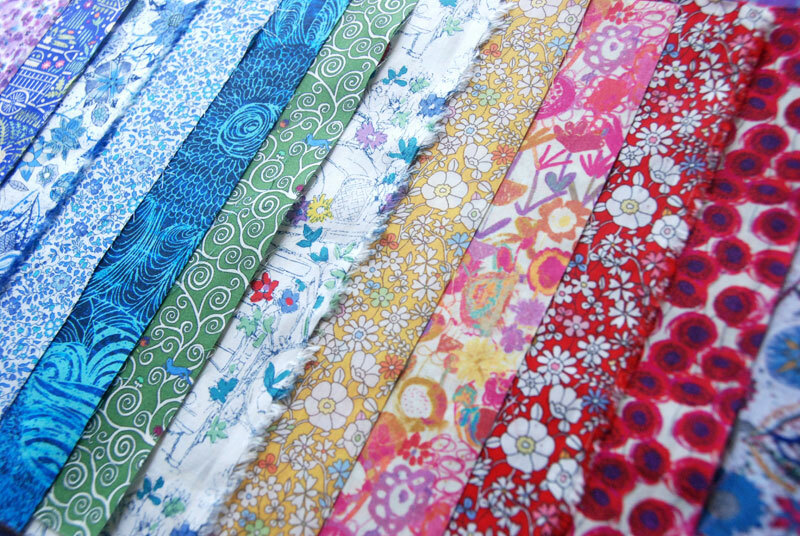 These would be my first Liberty fabrics – eep!!! Love both the name of the shop and the fabric. All around winner! I love all the different vibrant colors. Thank you for the giveaway!! Gorgeous fabrics! I’ve loved Liberty for years. Thanks for the giveaway. These fabrics are amazing. I LOVE Liberty fabrics. What beautiful fabrics! what a great shop! Gorgeous fabrics. I have two FQ’s of liberty and I’m hoarding them, they are so perfect. This is really great fabric and nice colours! Lovely Liberties!!! I think it is great you can not only order by the fat quarter, but by the length as well. Sweet little shop! OMG! Beautiful fabrics! Love the colors! Thank you for the opportunity to win Liberty of London fabrics! Beautiful fabric and a nice website too! Awesome giveaway!! Liberty LOVE! I’m having visions of a clamshell quilt out of Liberty! OMG!! These are gorgeous fabrics!! I have been dying to work with them.I am faily new to the quilting world and want to try out every beautiful fabric I see!! With Spring finally here it would be fun to sew with these beautiful fabrics. Beautiful selection! Thanks for the opportunity! You got me hooked on Liberty fabrics after I saw your beautiful patchwork Liberty quilt! such beautiful prints! would love to do some spring themed sewing with these. Thanks for introducing us to another great shop! What a fantastic range of fabrics – all the colours are fabulous – trying to choose a favourite is hard – I like the blue range and I LOVE the red range. Thanks for the chance to win some. I have yet to try Liberty. It’s gorgeous! Beautiful fabric! I’ve never used anything like these before and would LOVE to!!! Thanks for the chance! appreciate the opportunity to win. Thanks so much. Great giveaway!! Loooooove Liberty fabrics! I just Love Liberty fabrics. Thanks for the chance to enter. Great shop! Especially the Tana Lawns they have in stock! Those are such gorgeous fabrics. Thank you for the giveaway. Such beautiful fabrics. Thanks for the chance to win. I have never sewn anything with Liberty! This would be a great surprise for me! Thank you. I was in London my Sr. year in high school…..which is way more years than I care to admit here. I visited the Liberty of London store. I still remember the dilemma of choosing what I could afford to buy. Would sure LOVE to have some again! Oh I just love these – I’d rather win a Liberty giveaway than anything else! Oh, such wonderful fabrics! Thanks for the chance to win some. 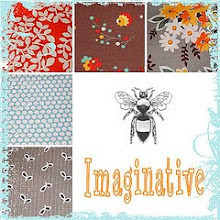 What a great giveaway of wonderful fabrics…thanks!